Asthma is one of the most common chronic illnesses in the United States, roughly 7% of the population are affected. The incidence of asthma is on the rise. Air pollution, poor eating habits, and stress are all thought to contribute to the rise in asthma cases. Asthma is a serious medical condition, and should be treated under a doctor's supervision. The herbal remedies which will discuss here may help prevent or reduce the severity of asthma attacks, but they should not be used to treat an acute attack. You should also discuss these herbal remedies with your doctor before you begin using them. Never stop taking prescribed medication without discussing it with your doctor. Never change the amount of prescribed medication you take without discussing it with your doctor. Way before inhalers, tablets and other pharmaceutical medications were developed, people relied on herbs to alleviate the symptoms of asthma. Herbal medicines may be able to help prevent it, reduce the severity of the disease, as well as control its symptoms. Though herbal medicine is regarded as a form of alternative medicine, more and more medical practitioners are now recognizing the benefits that can be offered by using herbs. There are a number of benefits that can be attained by using herbs for asthma. One of the main benefits that can be attained by using this form of medicine is that herbs can help strengthen your immune system. As opposed to most pharmaceutical asthma medicines, herbs are abundant in minerals and vitamins that not only prevent asthma attacks, but also boost your immune system. With herbal medicine, you are fortifying your body’s ability to fight off against pathogens that cause asthma and other medical ailments. For centuries, Chinese have used turmeric to alleviate the symptoms of asthma. Aside from alleviating the symptoms of asthma, turmeric can also be used to treat a wide variety of diseases like fever, cold, flu and many more. 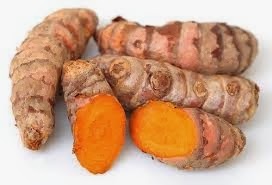 Turmeric has carminative, antibacterial, stimulant, astringent and antiseptic properties. Studies have indicated that hyssop has anti-inflammatory properties on lung tissue and thus has potential as an asthma treatment. It also has antiseptic, antibacterial and antispasmodic properties, which may assist in reducing the distressing symptoms of asthma. In addition to that, hyssop is considered beneficial with other respiratory infections like bronchitis, phlegm, pleurisy and lung disorders. 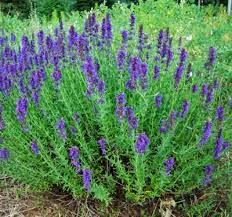 When using hyssop, however, make sure to use it for a short span of time since excessive usage of such herb can possibly lead to toxicity. Licorice root contains some helpful compounds. In Chinese medicine, licorice is considered the "Great Detoxifier" and is used in many preparations to decrease side effects of other stronger herbs. (licorice has anti-diuretic properties, and should not be used if you have high blood pressure.) Compounds in licorice seem to increase the effectiveness of cortisol in the body, which allows steroids (which are a common treatment for asthma) to be used at lower dosages. 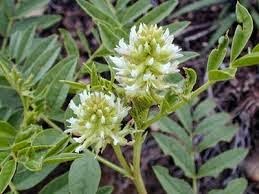 The drug prednisolone (used to treat asthma and lupus) is also supplemented by glycrrhizin, one of the compounds naturally occurring in licorice root, and can be taken at lower doses with licorice root. One of the best and most effective ways to prevent asthma attacks is to use German chamomile. 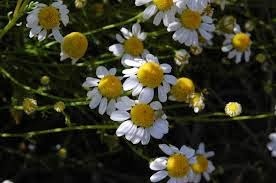 German chamomile has antihistamine properties that help fight off allergic reactions and asthma attacks. To get the best results from German chamomile, make sure to consume it at least twice a day. 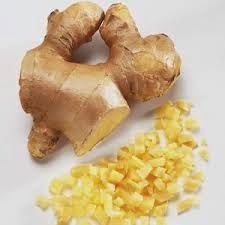 Ginger is a natural antiinflammatory, and can be helpful in decreasing the inflammatory processes which are a common occurrence with asthma (and allergies). Curcumin (contained in turmeric) and silybin (from milk thistle) also seem helpful in some cases. 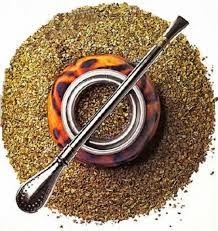 Yerba Mate is a very helpful herbal remedy for asthma. It helps stimulate the adrenal glands to release corticosteroids, which reduce inflammation, as well as hyperactive immune responses to irritants. It also helps relax the airways, and dilate the bronchial passages. You will be surprised to know that garlic, which is readily available in your kitchen, is actually considered an excellent remedy for asthma. 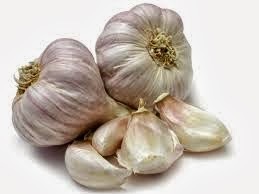 Though often used as flavor enhancer in culinary, garlic has proved itself to be worthy in managing asthma. Research shows that this herb contains active compounds that may help cure and eliminate symptoms that are associated with many respiratory and cardiovascular disorders. Garlic is known to contain twice as much Vitamin C than tomatoes. 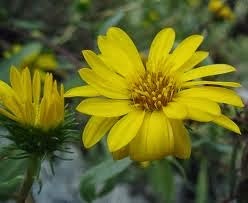 An expectorant herb, grindelia is also known as an effective anti-asthmatic herb. It is probably why it is included in the 1983 British Herbal Pharmacopoeia for bronchial asthma as well as an official part of the 1882-1926 United States Pharmacopoeia and the National Formulary from 1926-1960. Its dried leaves and flowering tops are often found in natural formulations for asthma. For the most part, gingko biloba is used as a memory enhancer. 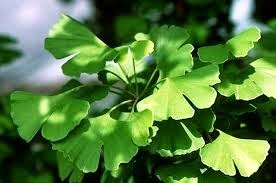 However Gingko biloba is also considered a good antihistamine and has anti-inflammatory properties as well. Doctors have found that extracts of this ancient medicinal plant help prevent asthma attacks triggered by allergens and exercise. They have found that appropriate dosage of gingko works by inhibiting the platelet activating factor (PAF) to reduce airway hypersensitivity of asthma sufferers. 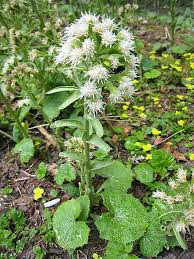 Medicinally used as a cough suppressant, coltsfoot is also considered helpful for those recovering from asthma attacks. 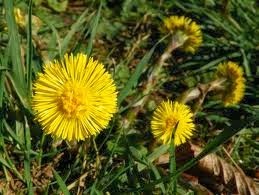 A study on 66 cases of asthmatics was conducted where 35 of which were given 15g of coltsfoot for 10 weeks. Results showed that even minimal airway obstruction present among sufferers in the convalescent stage can be reversed. This is crucial to prevent more severe conditions like emphysema. The Mayo Clinic reports that this native European perennial plant has a chemical known as petasin which inhibits the molecules involved in the airway inflammatory response during asthma attacks histamine and leukotriene. This leukotriene inhibiting property of butterbur extracts is responsible behind promising researches that suggest this herb to be an inhibitor of allergic disorders. Likewise, a 2004 study in Germany has discovered that when butterbur extracts were given to sufferers for at least 2 months, both incidence and severity of asthma attacks decreased by half and 80-90 percent respectively. Growing abundantly in North America, the bark of slippery elm is thought to be effective in dealing with different sorts of skin ailments. 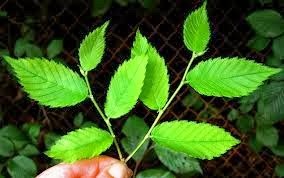 Though more scientific studies are yet to be conducted to confirm the effectiveness of slippery elm in helping people with asthma, preliminary studies conclude that slippery elm bark can really be useful. When taken as tea or capsule, slippery elm helps in preventing bronchial spasms which are normally associated with asthma. In fact, it is highly recommended to people diagnosed with respiratory conditions like bronchitis and cough.